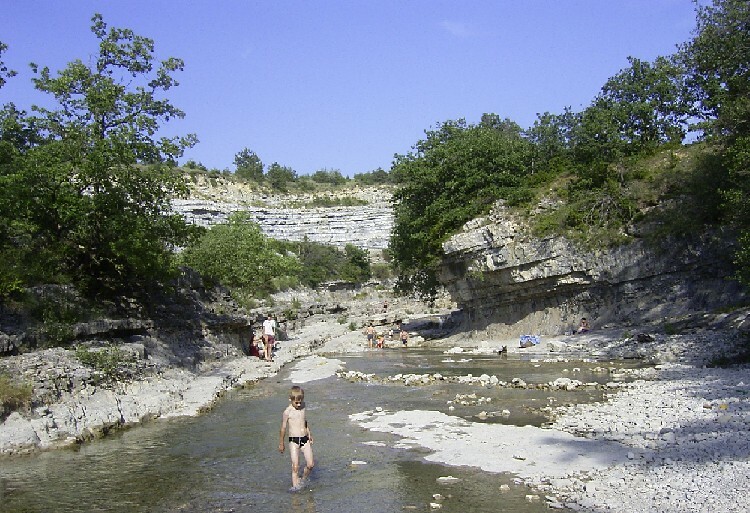 There is a lot to do in the Drôme. You can go for a hike or a swim, visit typical French villages or enjoy the beautiful landscape. 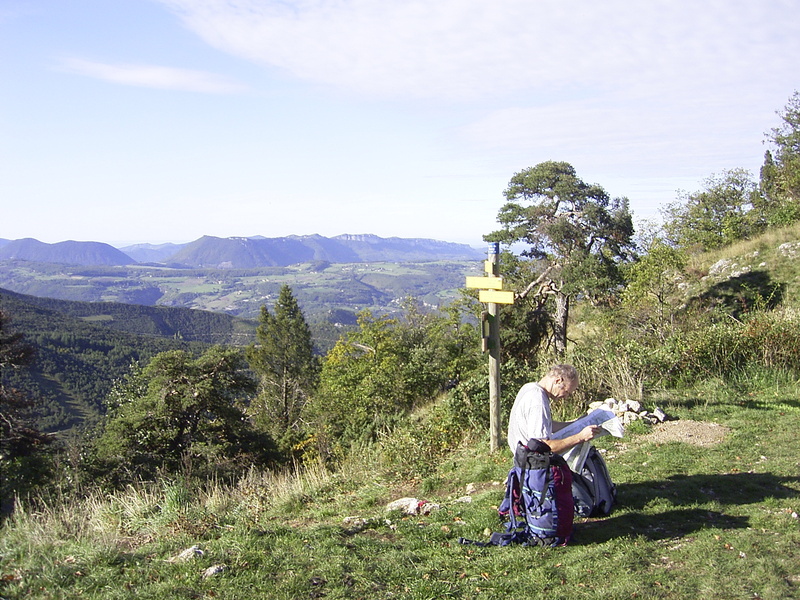 Below you will find information on all the things you can do in the Drôme. Every day of the week there is a market. You will find an overview of all markets at the farm. Some examples: Bourdeaux (Thursday), Crest (Saturday and Tuesday), Dieulefit (Friday) and Nyons (Thursday). 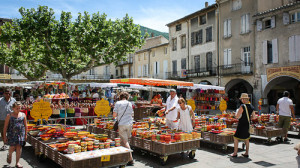 Brocantes and Fleemarkets are organised regularly. 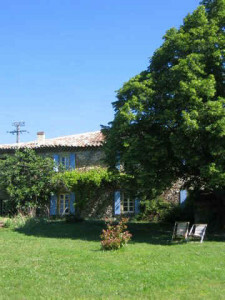 You will also find an eventcalender at our Bed & Breakfast. 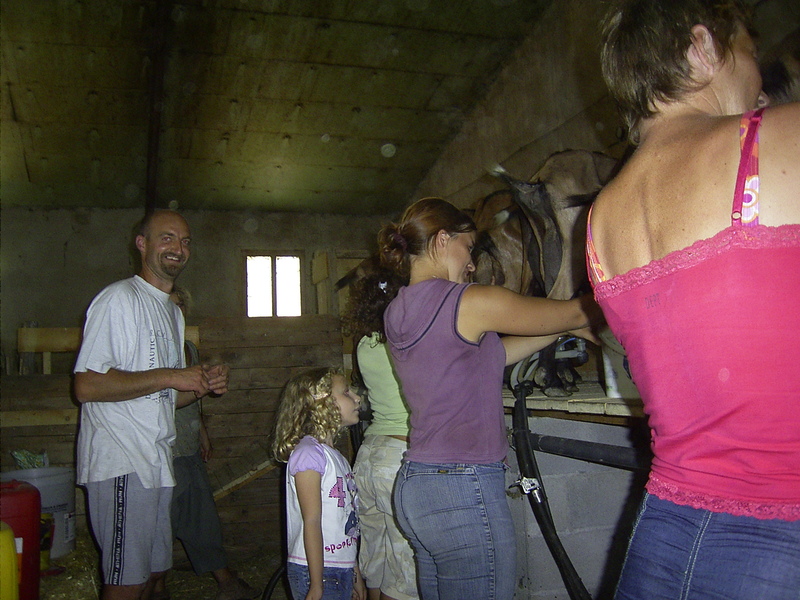 At several locations in the Drôme it is possible to visit a farm and join a tour around the property. At the same time you can taste and buy products such as meat, goat cheese, fruit and wine. 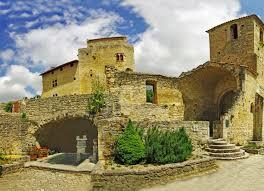 Next to la Ferme de Pauroux there is a cheese factory of Picodon (the regional specialty of goat cheese). Bourdeaux and Mornans an easy hike from about 11 km (3.30 hours). Poet Célard an easy hike from 9 km (3 hours) with the possability to visit the village and the castle. There are many itineraries of bicycle and mountainbike routes. You can find a booklet with them at the tourist office. New this year is the possibility to rent electrical bikes. 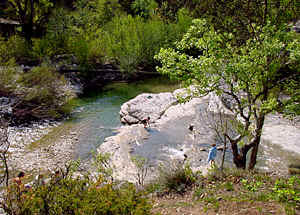 Near our property you can find the river Le Roubion where you can swim (and play). Or you can have fun in one of the other rivers like the Jabron or the Drôme. At 4 km you will find in Bourdeaux a swimmingpool which is open in July and August. In Crest the swimmingpool is open from 1 June to 30 September. Treasure hunt with a GPS. You are going to search the cache which is hidden at certain coordinates. When you have found it you write something in the small logbook and exchange one item for an other. We have different Geocaching hunts avaliable. Great for parents with teenagers.